While having a will is one of the first and most important steps you can take in estate planning, it is something that many people tend to avoid. The following outlines five simple tips in creating a will to ensure both you and your loved ones are protected. Make sure it meets legal requirements. For your will to be declared valid, it must meet conform to New York Estate, Powers, and Trusts laws. It must be in writing, created by a person of sound mind and legal age, and must be signed by both the testator as well as two disinterested witnesses, meaning people who have no stake in the will itself. It must include a thorough inventory all assets owned, and clear instructions for how any property or proceeds from financial accounts will be distributed. Use care in choosing an executor. In creating your will, you will need to name an executor, who will file the will with the New York probate court in the event of your passing. In addition to distributing your assets, this person will be responsible for ensuring that any creditor claims against your estate are settled and estate taxes are paid, as well as for defending your will in the event it is contested. Make sure the person you choose is someone you can trust, with the appropriate skills and experience to be able to complete these tasks properly. Even if you have a will in place, the AARP suggests taking it to your attorney for updates regularly. Changes in your family or personal life, such as a divorce or the birth of grandchildren, need to be addressed, as do changes in your income or assets. 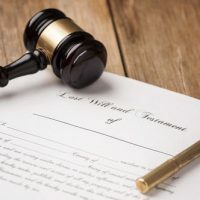 When creating a will, the tendency is to name spouses, partners, or other family members as executors and beneficiaries, without having a backup plan in place. Name secondary beneficiaries and spell out who should act as executor if the person you originally name is unable to fulfill the task. If you are married with small children, name a guardian for in the event a fatal accident occurs while you and your spouse are together. Supplement your will with additional estate planning documents. When creating your will consider other documents you may need, such as financial and healthcare powers of attorney and trusts. Contact the offices of Cavallo & Cavallo to request a free consultation with our New York estate planning attorney in our Bronx or New Rochelle office to discuss the options available.